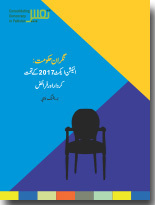 With the objective to inform and engage citizens and policymakers to strengthen the electoral processes in Pakistan to achieve the goal of free, fair and credible elections in Pakistan, PILDAT began focussing on elections and electoral reforms since 2002 with its earliest work as those being three nationwide public opinion studies including Pre-Election Poll, Exit-Poll and Post-Election Poll for the General Election of October 2002. 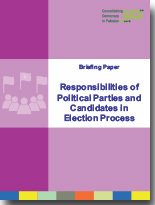 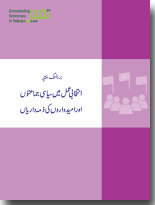 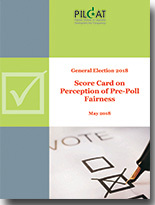 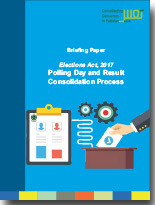 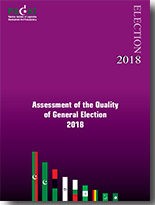 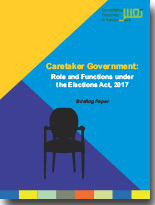 PILDAT has believed that efforts for ensuring free, fair and credible elections in Pakistan include a variety of steps: that the critical issue is raised as an issue of serious concern to the public and policymakers and to work towards proposing and facilitating the institution of required electoral reforms in Pakistan. 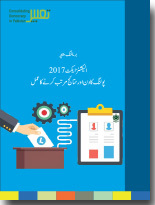 PILDAT’s work on Elections and Electoral Reforms over the years stemmed from the perspective that it is the people and the institutions in a country who have the primary responsibility to ensure a just, fair and peaceful political process including the electoral process. 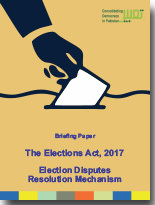 International institutions and observers may be helpful in ensuring free, fair and credible elections but it remains the duty of the citizens and institutions to make sure that the writ of the people prevails. 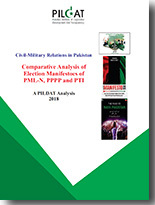 From holding Regional Dialogues and Conferences to discuss best practices on the issue to creating and facilitating an eminent Citizens Group on Electoral Processes to ensure an early and independent monitoring by the citizens of Pakistan to identify, communicate and rectify of issues relating to the electoral processes in Pakistan, PILDAT’s work has made a significant contribution to strengthening and reforming Pakistan’s electoral system and processes through legal and constitutional amendments as well as administrative reforms resulting in improved management of Pakistan’s elections.